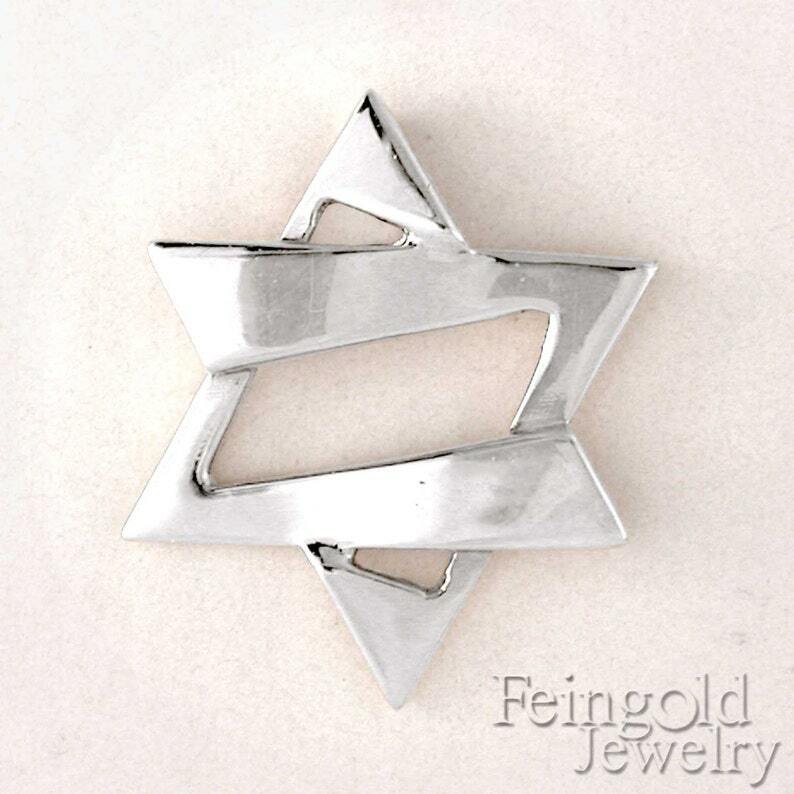 This unique and contemporary sterling silver Jewish star pendant took me over 3 years to design, and I think the time I spent on it was worth every minute. The pendant is around 7/8 inches (2.2 cm) long and weighs around 2.75 grams each. The silver Magen David comes on a 20 inch sterling silver square shaped chain. The star is also available in 14K yellow gold (see the other listing http://www.etsy.com/view_listing.php?listing_id=621980 or e-mail feingoldjewelry [!at] gmail.com). This star makes a great bar/bat mitzvah, confirmation, graduation, birthday, anniversary, valentines day, Chanukah, or "just because" gift. To read some testimonials, check out www.sarahfeingold.com and click on my "stars" page. Free Priority Mail shipping for domestic orders.